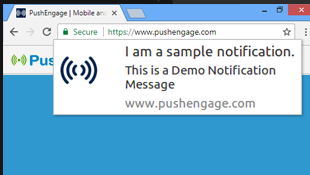 PushEngage helps your website, send web push notifications to people who subscribe from their Firefox browsers. You can now target user who uses firefox browser both on desktop as well as on mobile. Firefox is a free web browser from Mozilla. 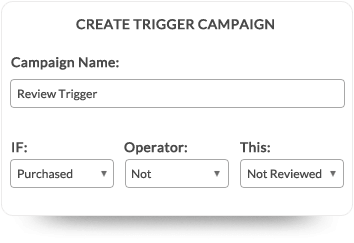 Send web push notifications based on user action. You can decide which user action to trigger push notification. Create multiple campaigns for each action and send targeted web push notifications on firefox browser. For e.g. if user has downloaded a pdf file or view video, you can send specific set of push notifications. Segment your users based on their interest. You can segment user based on the link they have subscribed to your notifications. You can also add and remove users from segment dynamically. Create drip notification to increase your brand awareness. 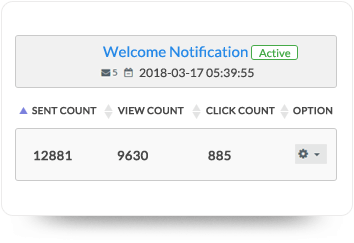 Drip push notification allows you to nurture your users about your product, their benefits and finally converting them to customers. You can create multiple drips for different activity. 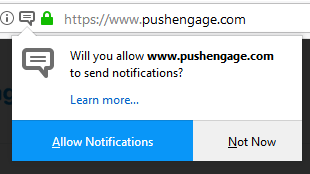 You can send abandoned cart push notifications on firefox browsers both on desktop and mobile. 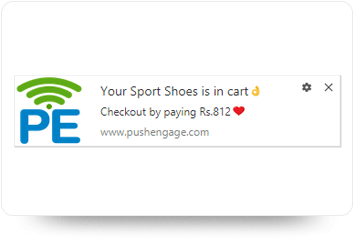 Create a series of push notifications for abandoned cart users and send them at different time intervals. This will keep reminding the user of their cart and may lead to purchase. 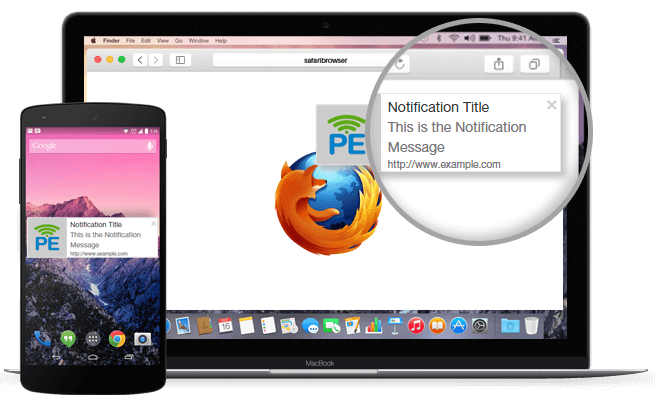 Seeing the adaption of push notification across other platforms, Mozilla started supporting Push Notifications on firefox browsers. Firefox version 44 now supports push notifications. It allows site to send push notification on firefox browser. The push subscription opt-in ux got redesigned in version 53. How to integrate Firefox Browser Notifications? 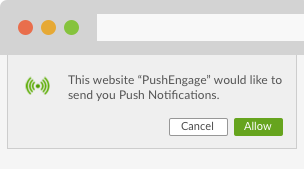 Once PushEngage is installed, a user visiting your site is asked to subscribe to Push Notifications on Firefox (Mobile or Desktop).